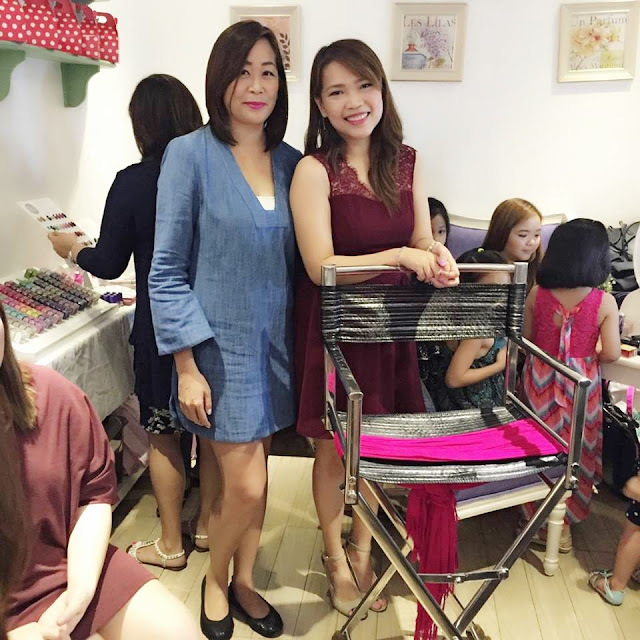 #CozyNailTurns5 VIP Event with AMW! 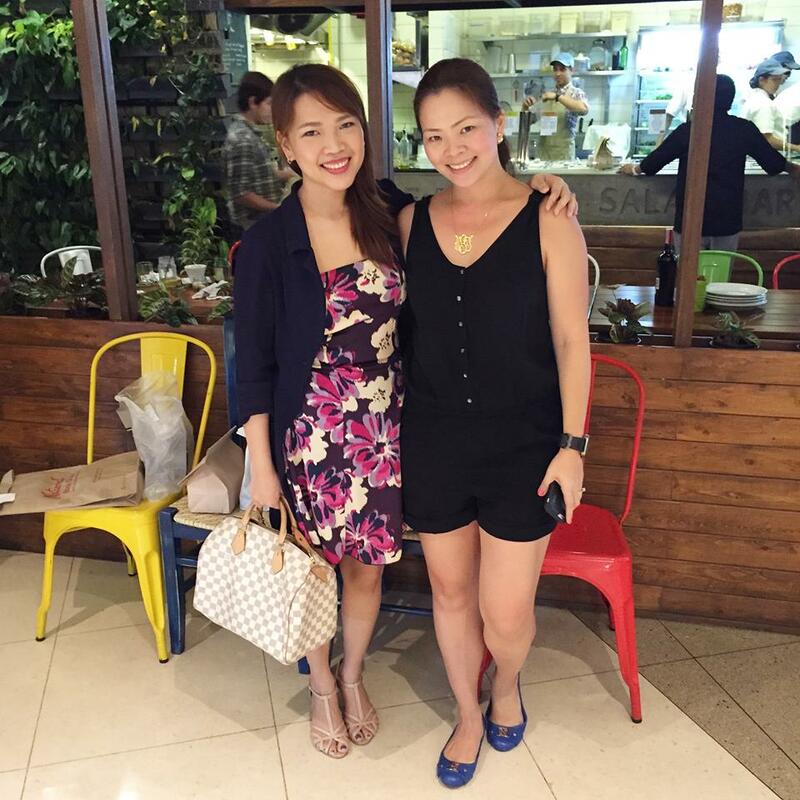 I've communicated with Michelle Taruc of Keeping It Together (KIT) years ago when she wanted me to try her products. Okay, I searched my own blog on my first KIT post and it was year 2012 April so yes, we have been communicating on and off via text and FB messages for the past 3 years. I've seen her a couple of times when she passes by my Benefit Workshops but we never really had the chance to sit down and talk. Let alone for me to tell her how much I appreciate her products. 80% of our conversation revolves around our personal lives and the 20% was about the partnership we will be doing. That's how comfortable we are with each other! Mich wanted me to do a workshop for her 5th Anniversary Party for her VIP clients at Cozy Nails, she is also a part-owner of Cozy Nails by the way and it was a partnership I wouldn't miss! Even if it means I have to drive ALL THE WAY to Libis (my most unexplored Metro Manila area). I immediately said yes and we thought of bringing in brands that I worked closely with in the past! It was an easy decision to go for Benefit Cosmetics and Girl Stuff. The meeting happened so fast it was only less than a week of planning. The day finally arrived, I wasn't a bit nervous because I know I will be seeing familiar and new faces! I actually prayed on my way there thanking God for the opportunity and for giving me the strength to be able to do the things I love no matter how busy I am! Check out the gorgeous set up! The area where kids can play while moms relax to have their nails done! 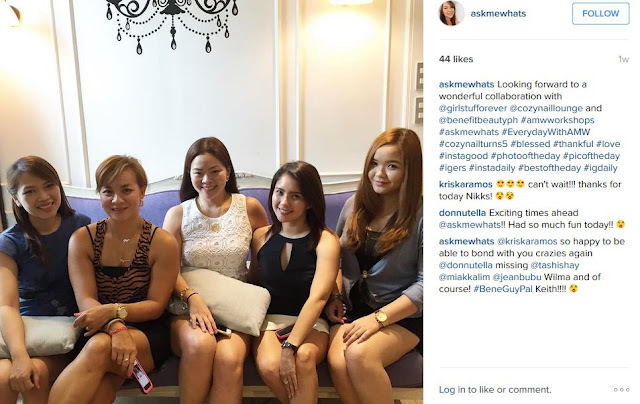 Oh, I forgot to add that this Invite-Only VIP event is a Mother-Daughter bonding event, so guests can bring in their daughters for an ultimate bonding experience. 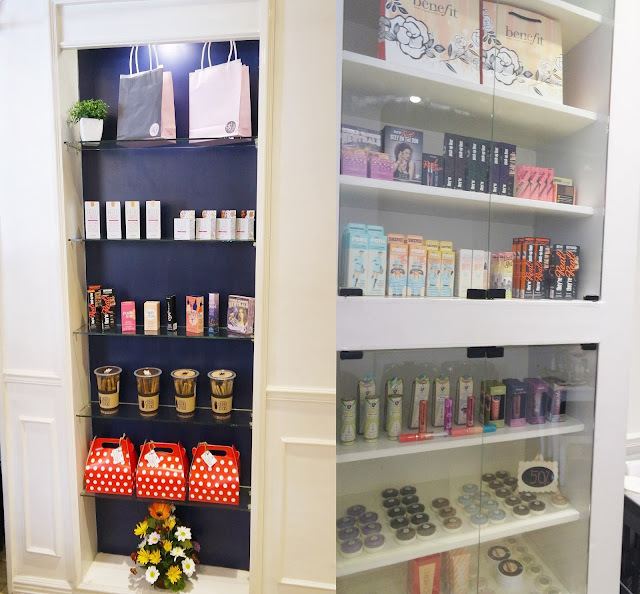 Benefit Cosmetics product display were guests can purchase Benegoodies at a discounted price! Aside from guests enjoying polishes from GirlStuff, they can also purchase their favorite polish shades and nail art materials that day! The kiddos went crazy! They were in love with the display! I can't blame them! A vanity table with all my favorite Benefit Products (I picked them personally to highlight during the workshop). Moms and their daughters can enjoy playing around with testers! 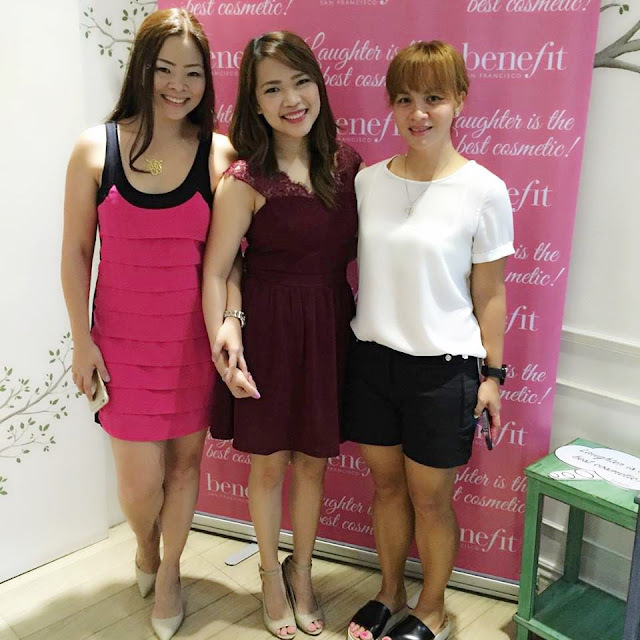 And they can avail free makeovers from Benefit's Resident "Kikay" Kriska Ramos! When guests finally poured in, we started the program with heartfelt prayer from Mich's little Princess. I am amazed how these kids are so attentive and obedient! I didn't have a hard time hosting this event! For the demo, I used all Benefit products. And when we say Benefit, there will always be a focus on brows! Thanks Tricky for helping me take good photos! This was the half-face Night Time makeup look I've created on Janice. 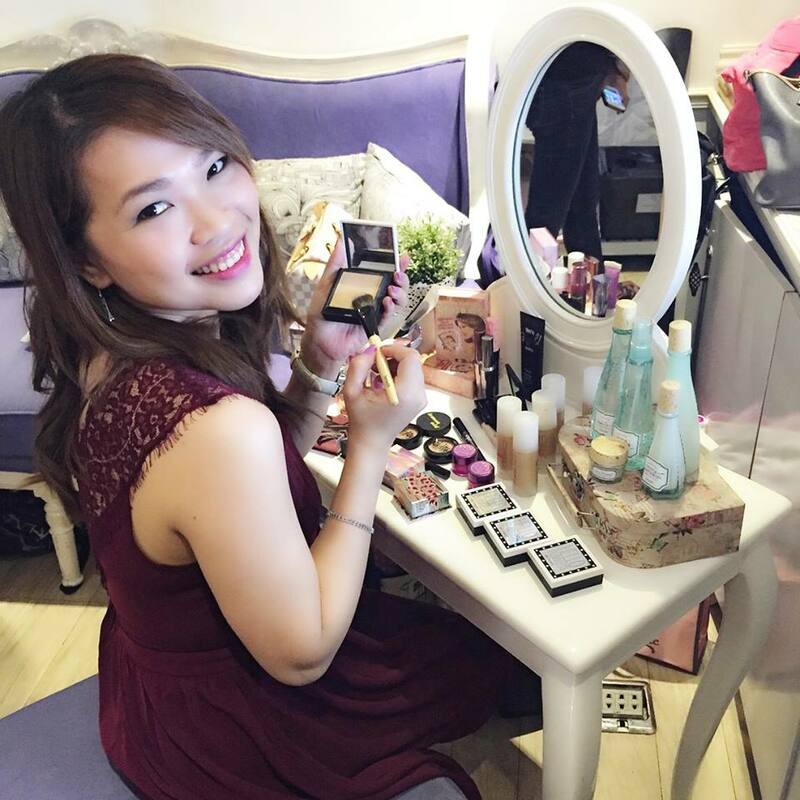 It was a fun-filled afternoon full of makeup and beauty talks, games, and getting-to-know-each other! I am so happy to be part of this wonderful event! Each VIP guest gets to take home goodies from sponsors. Happiness can definitely be seen on the faces of these gorgeous ladies. Congratulations Cozy Nail Lounge for year 5! Cheers to more fruitful years! Thank you girls for the unending support! I'm looking forward to share more about my knowledge on skincare and makeup! Thanks to the people and brands who trusted me! 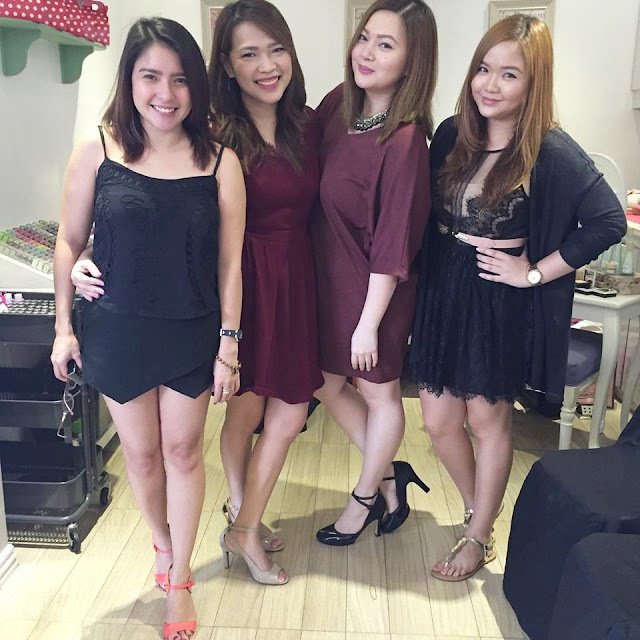 Feel free to visit Cozy Nail Lounge for your nail care needs! They definitely have one of the best staffs! I swear, all their staffs are extremely nice and helpful!